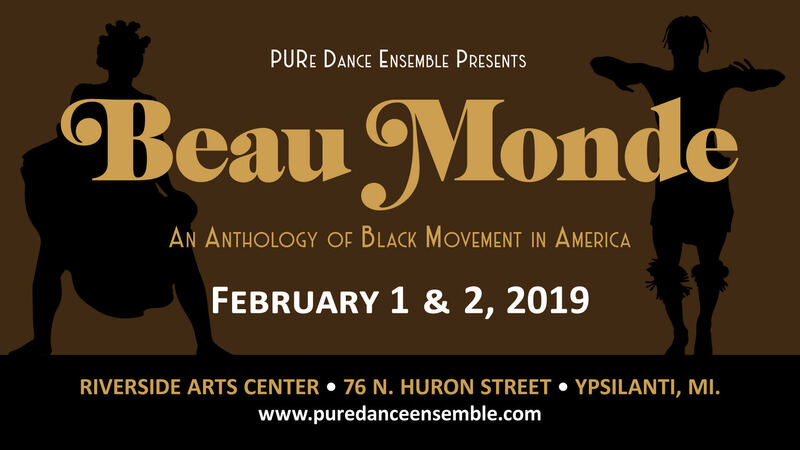 Join PURe Dance Ensemble in BEAU MONDE an Anthology of Black Dance in America. CELEBRATE with us the moments where movement and culture intersect and bring us together on dance floors, in theaters, on screen and in the streets! PURe Dance Ensemble brings together international and local dance companies to enhance this amazing and emotional movement experience. Soft/Student opening Thursday – contact Gina Danene Thompson with questions ginadanene@gmail.com or visit www.puredanceensemble.com Student ticket prices available for all performances.